We’d love your help. Let us know what’s wrong with this preview of Caro Fantozzi by Tiziano Thomas Dossena. 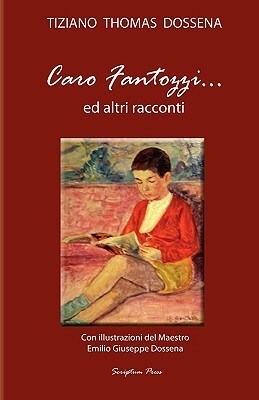 To ask other readers questions about Caro Fantozzi, please sign up. This is a beautifully written book, filled with warmth and wit. The lovely images contained within the pages are just a small sample of E.G. Dossena's talent. I understand that an art book on Dossena is forthcoming and cannot wait to purchase it! This book is written in Italian and beautifully produced - I recommend it to everyone. It's worth learning Italian, just to read this book.